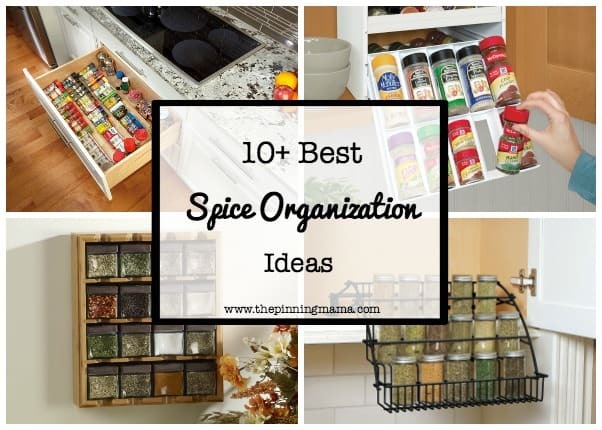 If you have an out of control spice cabinet like I used to then you are in the right place! I have put together a list of the best ways to organize spices that is perfect for getting your spice cabinet into shape! Here are several ideas so you can find one that will work perfect for your space, whether you use a cabinet, a drawer, or something else. This rack is perfect for those of us who are vertically challenged (ME!!) Pull it down so you can see the spices, even in the back. These stackable shelves are perfect for saving space. 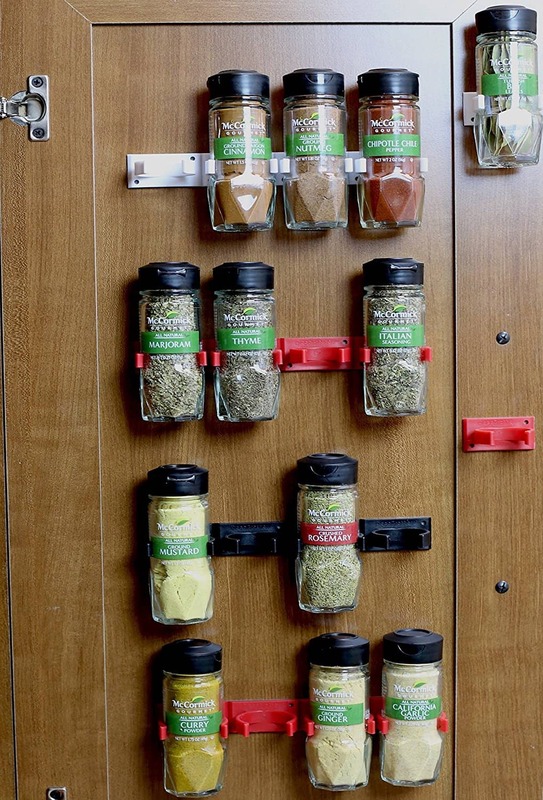 Use all the space against the cabinet sides so you can see each and every spice container. Or if you are like me so you have more room to cram even more stuff into the cabinet! 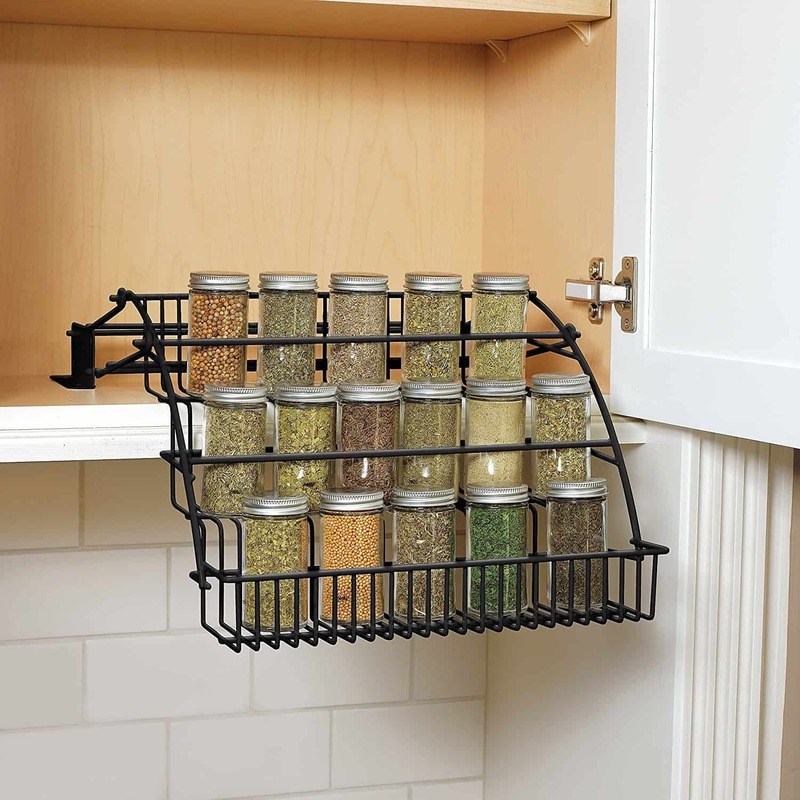 These are great because they are adjustable so you can store your tall spice bottles. Sometimes the odd sized bottles can be difficult to store but not with these racks! I personally use this set in my home and it allowed me to pretty much triple what I put in the cabinet and everything is always easy to find. The super big Costco sized bottles do fit on my top shelf but are a bit bigger than the shelf so I have to be careful not to knock them down. I can honestly say, I will be using this system for as long as I have a cabinet full of spices in the kitchen! 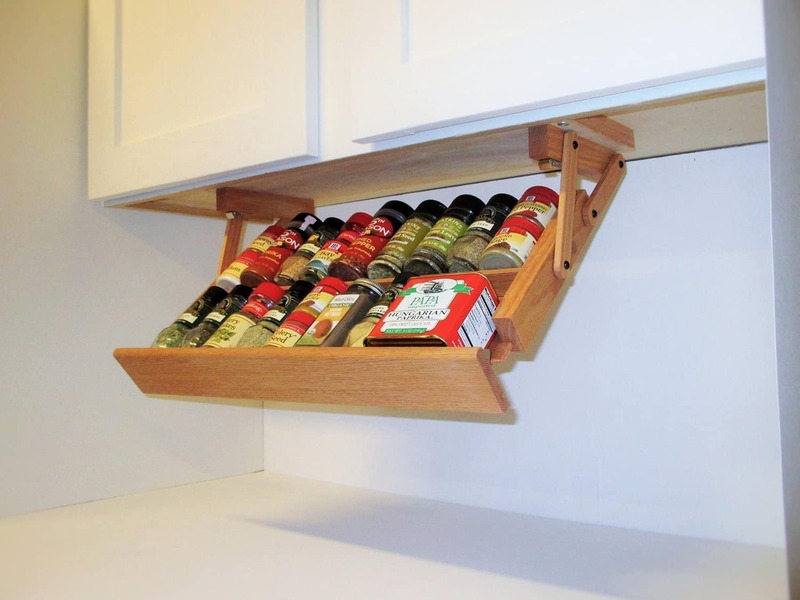 I really like this spice bottle organizer because the drawers pull out and then you can push them back in when you aren’t using the spices. This is a nice one if you keep your spices in the original jars because let’s face it spice bottles just aren’t that great looking and this lets you hide them away! If you have a lot of different sizes, this one is not the one for you, but if you don’t keep a huge amount of spices on hand, this is really a great solution, not overkill like the one above would be. This spice holder is great because it lets you use another often un-utilized space. Cabinet doors don’t often get used, but this holder lets you take advantage of the extra room!Another one of my favorites! I use these with the other system above I mentioned! 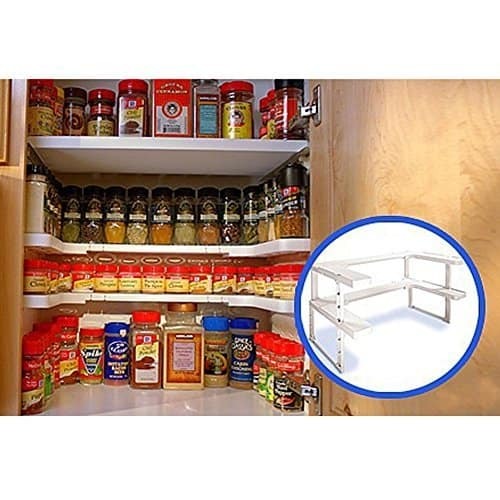 If you don’t have a lot of cabinet space this rack is great because it creates new space under the cabinets. This is also great if you don’t want to get a ladder to get up and find your spices like I usually end up doing! I can definitely reach them if they are under the cabinets right at my eye-line! 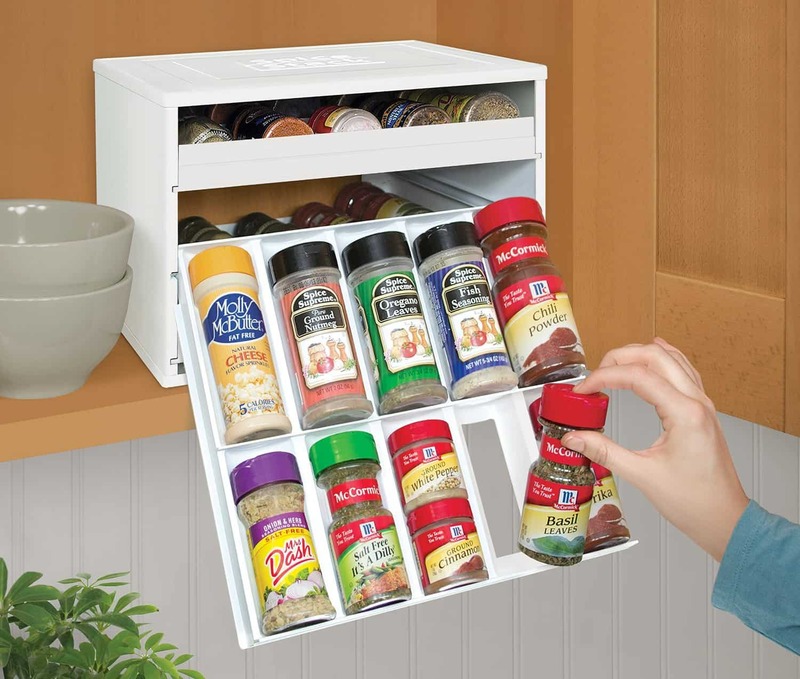 If you would rather store your spices in a drawer then this drawer insert is great for storing spices. It puts them all on their sides so that you can read exactly what spice you are getting! Such a thoughtful design! 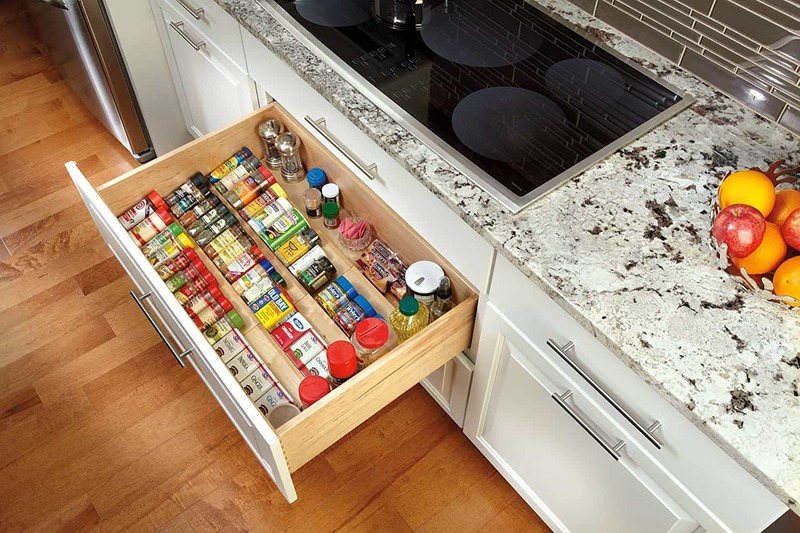 Make sure and put a drawer lock on though so that little fingers aren’t grabbing all your spices all the time! How about using counter space to store your spices. Put them all in pretty jars and then keep them out on the counter. I love seeing all the pretty spices! Use the labels provided or create your own fun vinyl labels for the jars. 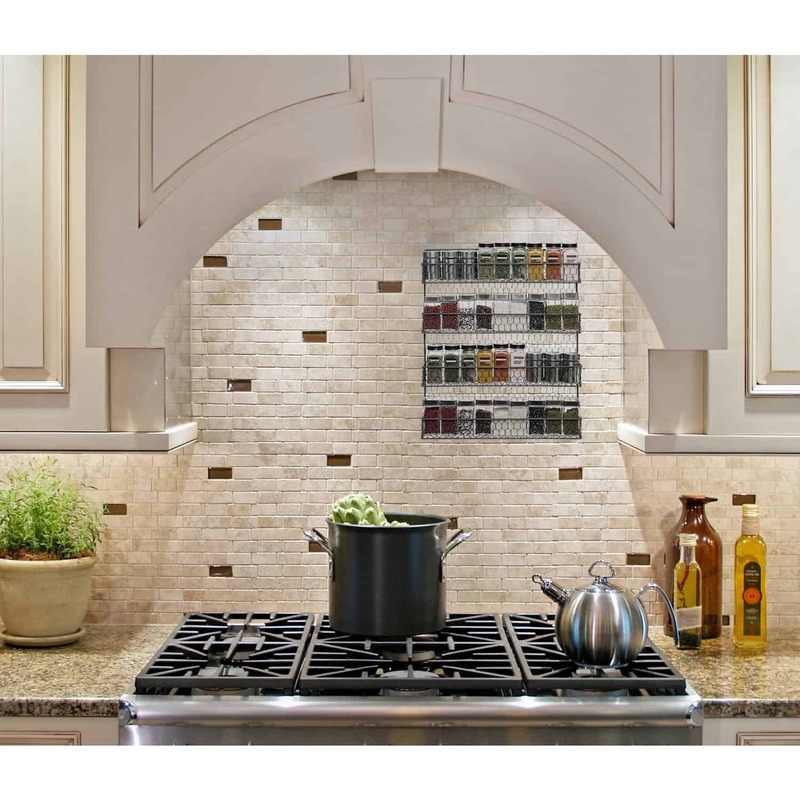 Store your spices on the wall with these mounted magnetic spice jars. 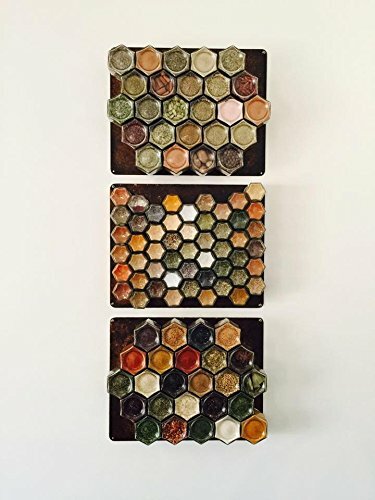 The honeycomb shape is so pretty and will not only store your spices but will make for a beautiful piece of wall art in your kitchen! This rack would be perfect in a country or an industrial kitchen. 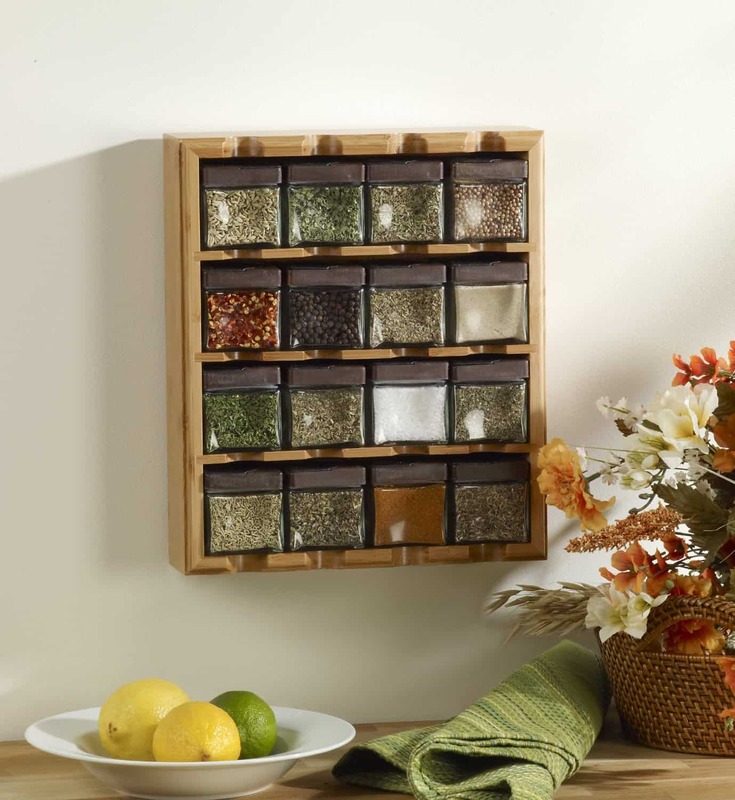 It is such a pretty way to display and store your spices. I also love the idea of mounting it over the stove like this! 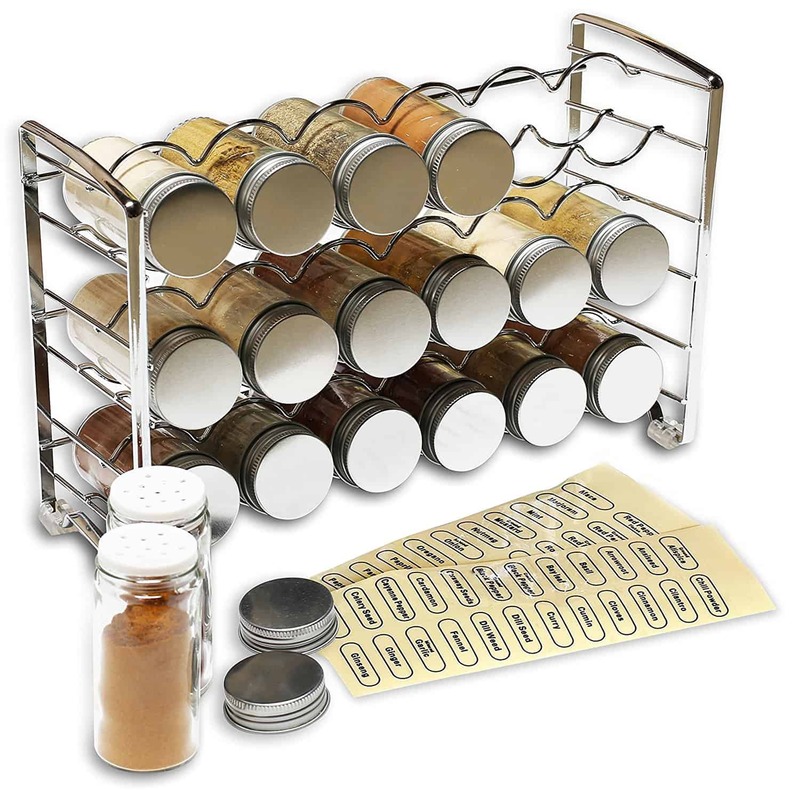 Here is a great spice storage rack for a modern or industrial kitchen! These little cubes are so fun and the wooden rack is so pretty. A lazy susan is perfect for storing spices. You can keep it in a cupboard or keep it on the counter. Use the turn table to turn the spices and see all your different bottles. These are so useful! Where do you store your spices? Do you have another solution you love? Let me know in the comments if I missed something so I can share with everyone in my post! I think one of the greatest challenges with spices is that most people have different brands and differing container sizes. That drawer option is nice because it can accommodate variety. 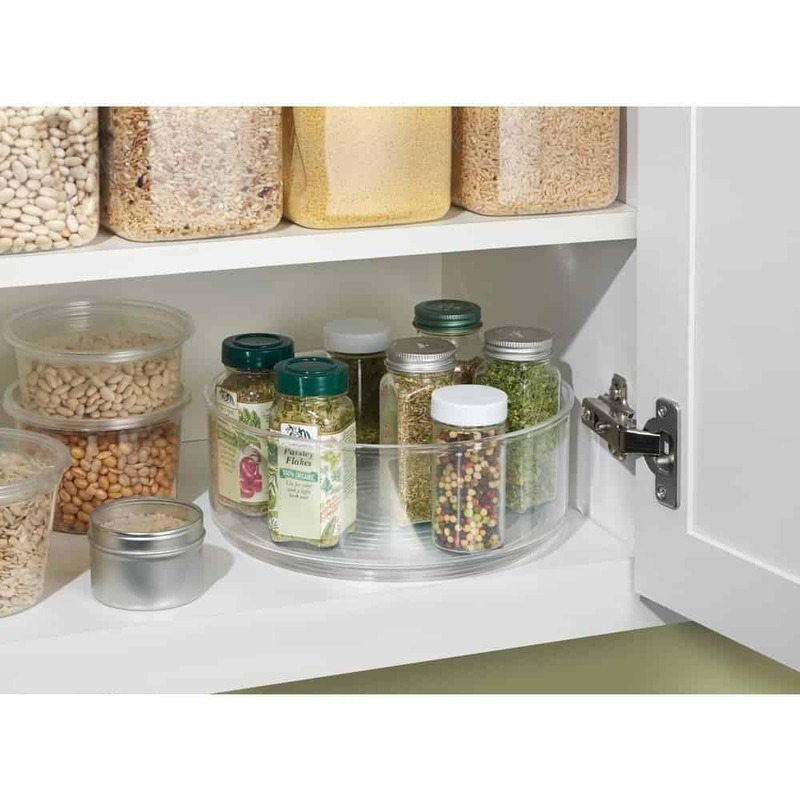 A lazy susan can also be a nice option for people who only have a corner cabinet.